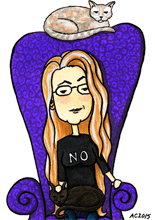 Apparently, this is a series! Who knew? 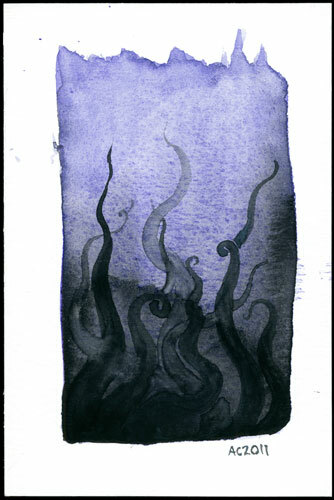 I had another blue wash sitting around from my last foray at watercolors, and this one, too, seemed to just really want tentacles.I mixed a little green into the black again, but once again it seems to have been swallowed up as the paint dried, though I saw glimmers of it when it was wet. I used a bigger brush on a smaller piece this time and I’m not sure I liked the coarser control, so of course I’ll have to try again. Perhaps green, or something in a rich blood red? 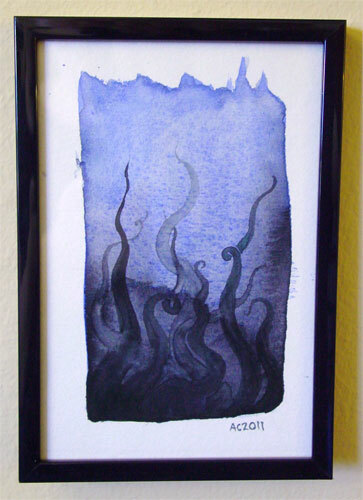 Tentacle Deeps 2, 4″x6″ watercolor on watercolor postcard. I didn’t bother with wallpapers on this one, but if you’d like them, just let me know.